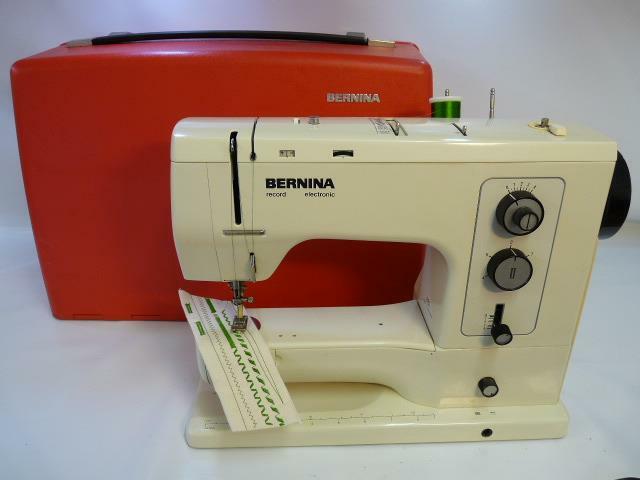 The Bernina 830 is a free arm sewing machine, made in Switzerland. It's widely considered the Rolls Royce of sewing machines and still runs perfectly today after many years of service. as with all classic sewing machines, it's vastly superior to many of today's cheaper models thanks to it's reliable stitching and solid construction. The machine is perfect for all kinds of sewing tasks including dressmaking, repairs, light and heavy fabrics. Since it's a free arm machine it means you can easily tackle those tricky areas such as sleeves, trousers and even bags.